These are so cute! 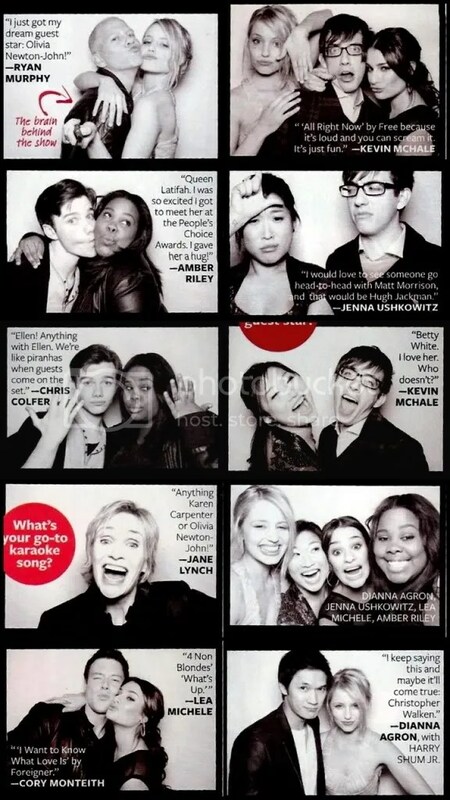 The Glee cast hopped in the InStyle photo booth. Here is the scan from InStyle Magazine. 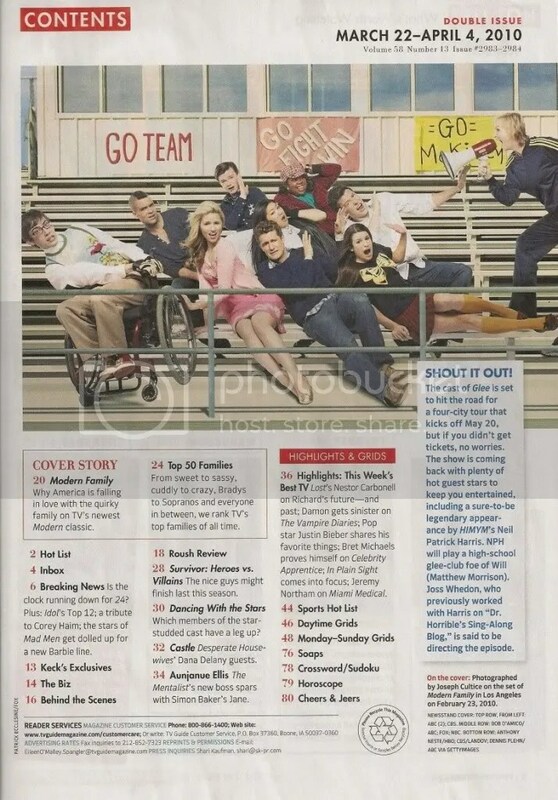 Here is a scan of the gang in the March 22-April 4 issue of TV Guide Magazine. Cute! Here is the video of Amber Riley, Kevin McHale, Dijon Talton and Jenna Ushkowitz presenting at the NAACE Image Awards. 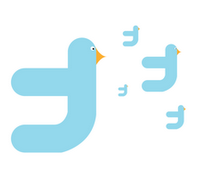 I can’t embed it, so click here to watch it. Fox announces Glee concert tour! Fox has announced that the Glee cast will be taking their show on the road with a four-city engagement! Do you live in one of the cities on the tour? I want to go to one of the shows in Los Angeles! Last night, several members of the Glee cast attended the 41st Annual NAACP Image Awards, including Kevin McHale, Jenna Ushkowitz, Amber Riley, and Dijon Talton.